Posted on Apr 4, 2015 by Appleton Downtown Inc. The 2015 Downtown Business of the Year Award: Presented to the business that stands out from the rest and captures the admiration of the downtown community for their ability to continually represent the spirit downtown through their innovation, fortitude and reputation. Founded in 1992 by Pat Deprey as a small tech staffing agency - this innovative business is now a world class technology firm working with local, regional, national and international clients. You may have recently heard about their expansion and addition of their Innovation Lab called The Garage! In this creative, flexible work space Skyline employees develop complex technical solutions for their clients and also provide a hands-on learning center for local high school students. Their community giving continues to boost learning and helps to grow the vibrancy of the local economy. The have supported Riverview Gardens, Art on the Town, Mile of Music, the Compassion project, Habitat for Humanity, to name just a few. They are committed to the Appleton Community and to Downtown where their business continues to flourish. As one employee shared with me: our employees absolutely love being downtown – just look outside our windows – there is vibrancy all around! 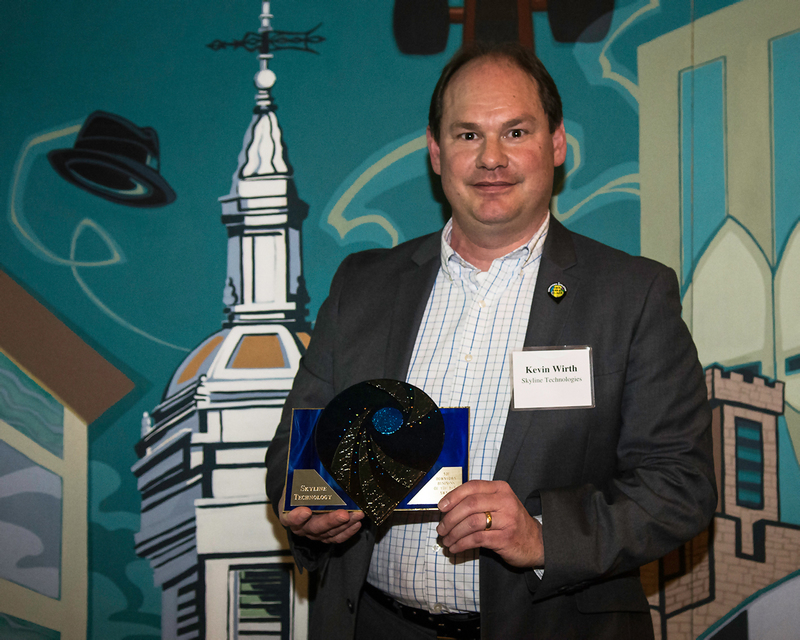 For the vitality you infuse into our district and your continued commitment to Downtown we are honored to present Skyline Technologies with the 2015 Downtown Business of the Year Award…Accepting the award is Kevin Wirth.